1.27 ACRES in the Country Home Only Minutes to Myrtle Beach! 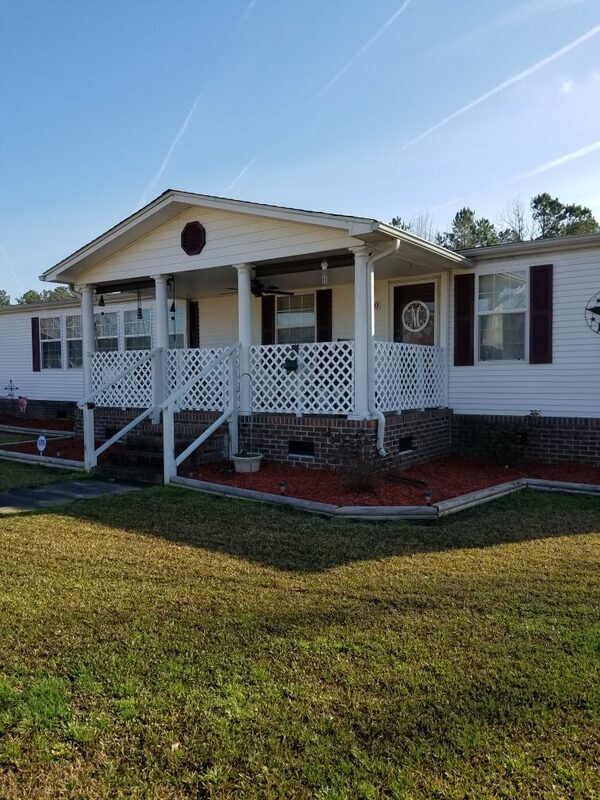 This 1.27 acre property that is located at 6780 Pinehaven Ln., Conway 29526 in Horry county is currently for sale and is only minutes from Myrtle Beach! The property at 6780 Pinehaven Ln. has 3 bedrooms, 2 baths, 1,700 and was built in 2000. Roomy home in the country yet close to everything that Myrtle Beach has to offer! This 28 by 60 mobile home sits on 1.27 acres! NO HOA fees! Kitchen has plenty of cabinet space, a new fridge in 2017, and plenty of windows for additional natural lighting! A corner fireplace in the living/dining room, new ceiling fans throughout, split bedroom plan, large walk in closet in the master, separate master bath garden tub and more, sits under a new roof in 2015 along with a new furnace in 2017! Can you see yourself sitting on the swing on the 18 by 8 concrete front porch or sipping your morning coffee in the 10 by 12 Carolina Room enjoying the great landscaped yard? And don't forget about the carport, the 16 by 12 steel shed and the smaller garden shed! This one won't last long! Contact Bill Knoll for more information about this single family home.